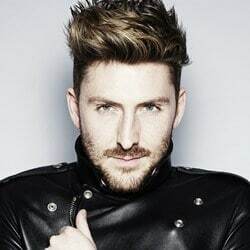 Keynote speaker Henry Holland is a Fashion Designer and Blogger, who is perhaps best known for his irreverent 1980’s T-Shirts with slogans such as ‘Uhu Gareth Pugh’ and ‘ Get Your Freak on Giles Deacon’. Henry is guaranteed to bring his unique style to your event. Henry Holland burst into the fashion world in 2006 with his ‘fashion groupies’ slogan tees which featured catchphrases such as ‘I’ll tell you who’s boss, Kate Moss’. Henry graduated from the London College of Printing with a BA in Journalism. Henry spent 2 season with Fashion East and in february 2008, Holland launched the label House of Holland which held it’s first solo show as part of London Fashion Week to critical acclaim. 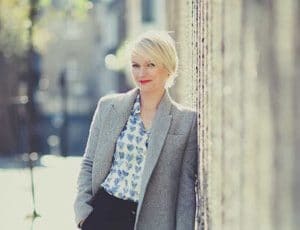 Now with over 10 years of experience, House of Holland is now a firm fixture of the international fashion world and in January 2012 was awarded a two-season fashion forward sponsorship. House of Holland now boast an impressive roster of international premium stockists including Browns, Harvey Nichols and Selfridges. Henry has also collaborated on ranges for Debenhams and Le Specs, his own range of nails with Elegant Touch and homewear collection for Habitat. In addition to his fashion work, Henry has also spread his talent to television presenting two series for Channel 4, Frock Me and The Changing Room, he also was a judge on the Rihanna produced Styled to Rock for Sky Living.